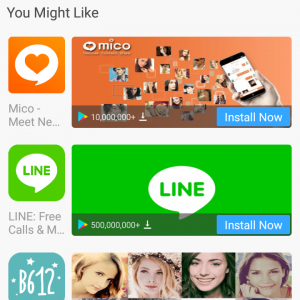 What if you want to install multiple instances of the same app on your Android phone? The app called Parallel Space can help you to do it. Parallel Space is an Android app available for free on the Google Play Store, and it allows you to install and run multiple instances of the same app. 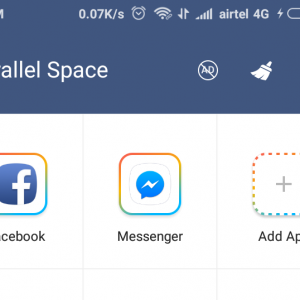 You can run two WhatsApp, Facebook, Messenger, Instagram accounts on your Android phone with ease. Many smartphone manufacturers like Xiaomi, Huawei, Vivo and Oppo, have included this feature in their smartphones by default. In Xiaomi devices you have a feature called Dual Apps, and in OnePlus 5T you have a feature called Parallel Apps. However, if you are using smartphones from companies like Samsung, Sony and HTC, you don’t have this feature inbuilt. Even the latest Xiaomi Mi A1 does not have the feature inbuilt because of running Android Stock ROM out of the box. 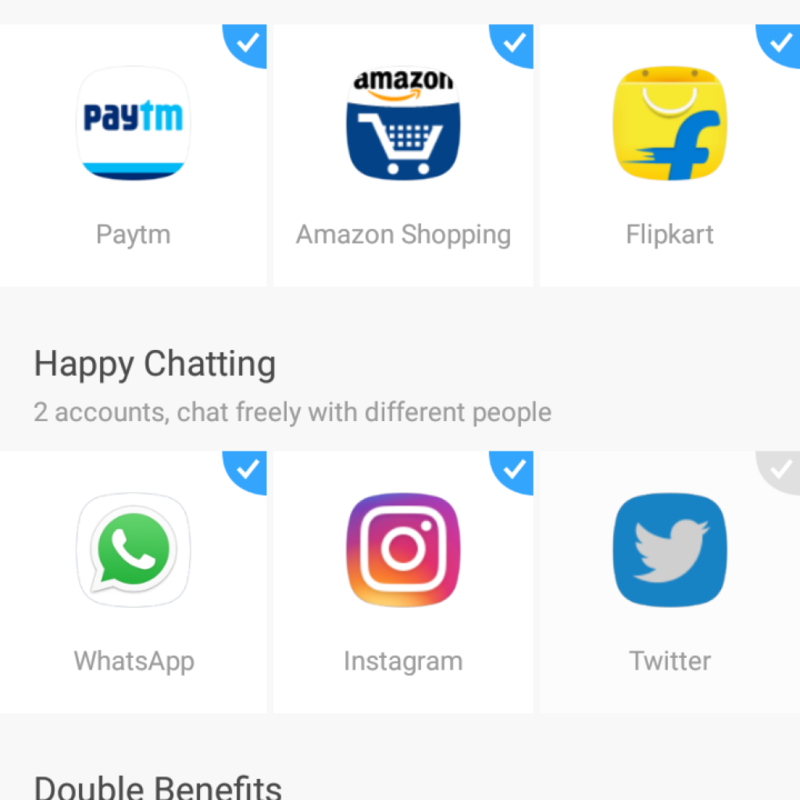 Now if your phone doesn’t support this feature by default, here is how you can install multiple accounts of the same app on your Android phone. Also read: How to root any Android phone without PC. 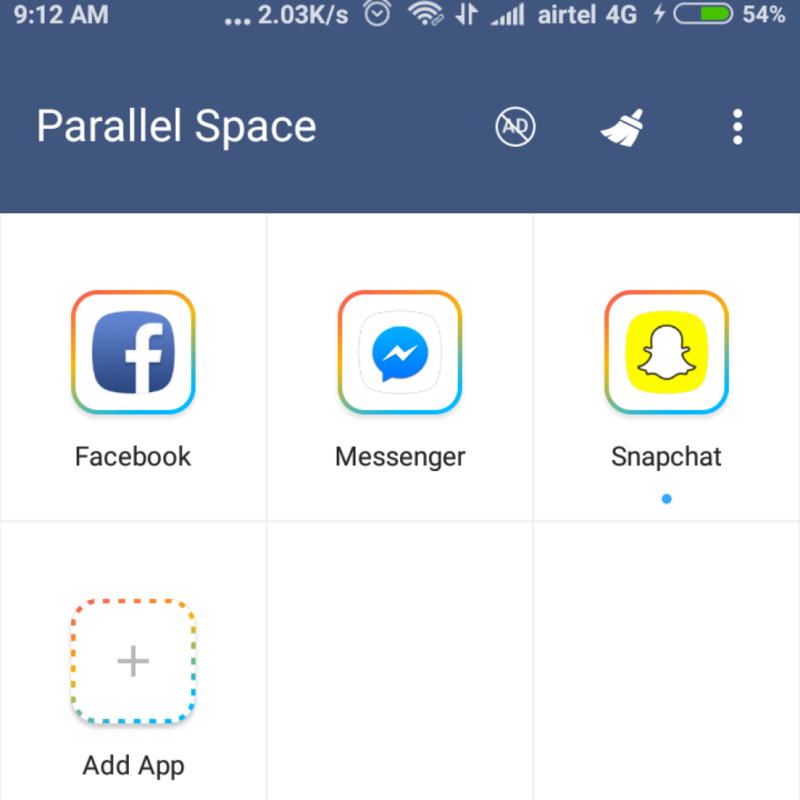 The app we will be using for this test is called Parallel Space, and it allows you to install two WhatsApp, Facebook, Messenger, Instagram and several other apps on your Android phone. Here is how to do it. Open Play Store on your Android phone and search for Parallel Space. Open Parallel Space and tap Install. After installing the app, tap on Parallel Space and tap on “Start“. Now the App will scan and display all the apps that can be cloned on your Android phone. Now go through all the apps that are pre-selected to be cloned and uncheck any app that you don’t want to clone. If you want any other app to be cloned, then scroll down the list of apps and select all the other apps that you want to clone. After that, tap on “Add to Parallel Space” button. Now all the selected apps will be cloned and installed on your Android phone. Now if you go through the app drawer or your home screen, you can find multiple installations of the same app on your Android phone. Parallel Space also offers a feature called Incognito Installation. What this feature does is it allows you to clone any of the installed apps on your Android phone and even hide the installed app from your home screen or app drawer. To access the cloned app, you need to open Parallel Space and use it. This is useful if you want to install an app on your Phone but don’t want it to be visible on your home screen. What you can do is, install any app from the Play Store, open Parallel Space, clone that app into Parallel Space using Incognito Installation and uninstall the app from your home screen. Here is how to do it. Open Parallel Space and tap on Add App. From the top, tap on Incognito Installation. Now tap on Search Google Play and search for the app installed on your phone. If the searched app is installed on your phone, let’s say Snapchat, then tap on Snapchat from the search result. Now the app (Snapchat) will be cloned into Parallel Space. Next, go to your Home Screen and uninstall the app from your phone. That’s it. Now, whenever you want to open Snapchat, open Parallel Space and use the app and it will also be not visible on your Android Phone’s home screen.